Lesson Fees start at $30 per half hour. Discounted group lessons are available for string instruments and voice. Ask us about our referral program that gives you a FREE lesson. Summer lessons specials and packages offered. All registered students automatically agree to our Terms & Policy. We offer after school activities through private and group music classes, show choir and theater for schools, institutions and/or churches at their premises upon request. Click here for more info. Like us on Facebook and get your first lesson 50% off. Contact us for availability in your area. Other areas of central Indiana might be available depending upon scheduling needs. More instruments may be available upon request. No long term contracts or commitments. Take lessons as long as you want in the comfort of your own living room. Please read our Terms & Policy before registering. In order to provide quality and excellence we have mostly degreed instructors specialized in their instruments with Bachelor’s in Music, Music Education, Piano Pedagogy, Music Performance, Guitar or other music related academic fields. However, many of our teachers hold a Master’s and Doctorate degrees in the above fields. We also provide you instructors with experienced background in teaching their instrument to give you the best quality in your education. In addition, some of our instructors have an international training in their fields from some of the finest conservatories in the world. All instructors go through national background check. We also have instructors who can provide music lessons in foreign languages such as Portuguese, Taiwanese, Chinese and Greek. 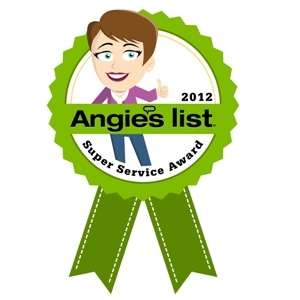 See what our customers had to say over the years in Angie’s List Reviews.